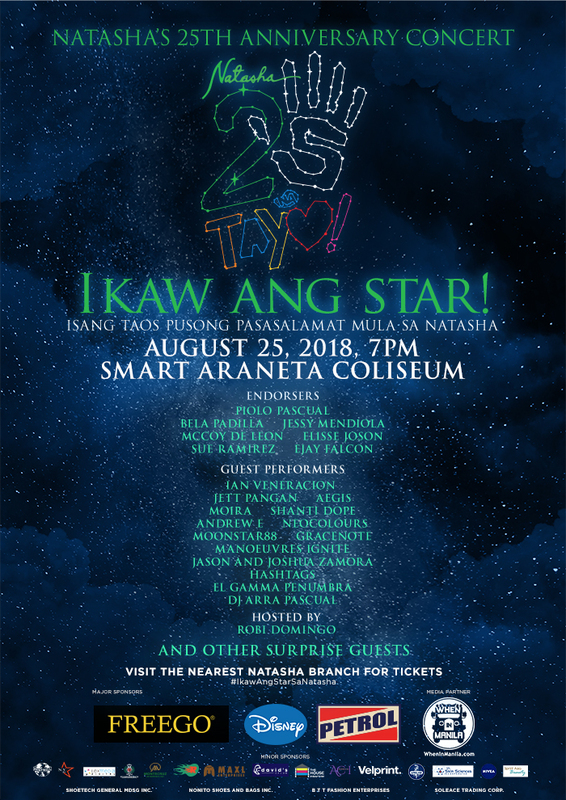 Natasha’s 25th Anniversary Concert: Ikaw ang Star will be a night of celebration to thank its members in making the company shine over the years. Natasha will deliver a night of wonderful music from popular artists from the past and present, and showcase the trendiest styles in fashion today through a fashion show concert. Ramirez, Elisse Joson and McCoy de Leon, will grace the anniversary concert to personally thank the Natasha members for their continuous support. El Gamma Penumbra, Asia’s Got Talent Season 1 Grand Champion, will also perform at the event to showcase the colorful history of Natasha. Apart from the concert itself, Natasha will also have mix of pre-concert activities such as the Stars Walk of Fame, a photo exhibit showcasing the past 25 years, a Rookie Membership mini event. Tickets to the anniversary concert are available in select Natasha branches.